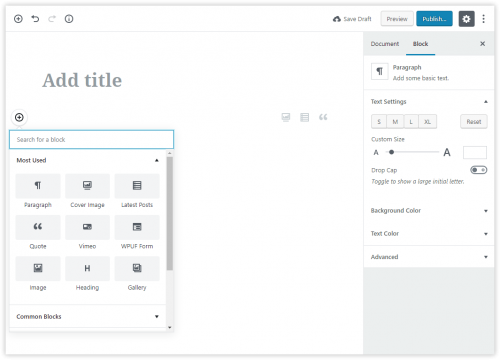 The pending release of WordPress 5.0 will formally introduce the Gutenberg editor and, along with it, a new paradigm for WordPress users and developers. The countdown to version 5 is getting short (the current version as of this writing is 4.9.6). And since WordPress is the most popular website platform on the internet, there are a lot of people watching those version numbers tick by—some with fear, some with excitement, and many with a sense of cautious optimism. To call Gutenberg a new “editor” is rather misleading; it represents a fundamental change that will eventually affect nearly everything done on the administrative side of WordPress. In place of the current content editor, which is essentially a text field that allows users to format text and add images, links, etc. much as they would in a word processor, Gutenberg re-imagines the editor as a blank canvas for building content out of blocks. In Gutenberg everything becomes a block: image blocks, quote blocks, heading blocks, even paragraphs of text automatically become individual blocks. Blocks can be rearranged by dragging-and-dropping, duplicated, saved to be used again elsewhere, converted to other block types, and more. And blocks aren’t limited to just the same content options we’re used to seeing when editing a post or page; widgets, shortcodes, menus, custom fields, and more will all become blocks that can be dropped into the layout, adjusted with their own toolbar, and arranged on the page. The major part of backwards compatibility is not breaking things, or doing everything possible to avoid it. Gutenberg simply will break sites. These changes might seem entirely positive and welcome, and ultimately they almost certainly will be. But an overhaul this significant has potential to cause a lot of disruption and that has some people worried. It’s hard to predict all the things that might break when people start using Gutenberg on sites that are built around themes and plugins that haven’t been updated specifically to work with Gutenberg. Certainly the team developing Gutenberg is working hard to ensure that existing sites will continue to function without issue. There is even already a plugin to disable Gutenberg once it is incorporated into WordPress. But that would be a short-term “solution” and before long it would still be necessary to transition to Gutenberg. If you are a plugin developer and still haven’t explored Gutenberg – now is the time! Moreover, start preparing for the Gutenberg era — if your plugin won’t be compatible with the new editor your product is going to stay behind. There are also concerns about the WordPress ecosystem. Most popular plugins and themes should already be preparing updates to maintain compatibility and hopefully begin to take advantage of the new features, but there is no doubt that there will be a significant culling of plugins and themes that do not get updated. This process will make way for new plugins and themes that are built specifically to be used with Gutenberg, but there is likely to be a phase where it will be harder to find compatible plugins for some needs. In a couple of years, only hard-core fans of commercial page builders will still be using them, while the vast majority of the community will have switched to Gutenberg. Some popular plugins will probably end up going away too, as their functionality gets replaced by features integrated into Gutenberg and the demand for them drops. 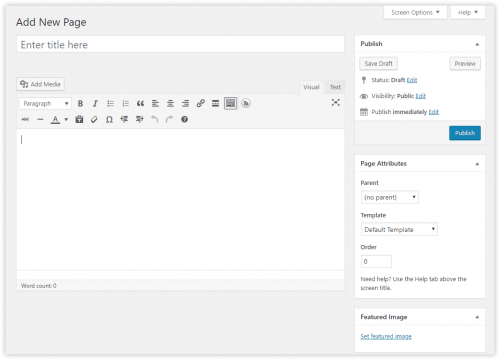 Right now, plugins that provide visual editors/page-builders or custom fields could be at risk of becoming obsolete in the not-too-distant future. With the combination of the blocks saving to post meta and block templates we can pretty easily recreate what the custom fields plugins are offering: a way to structure the post’s data. So there are some concerns to watch out for and there might be some bumps ahead for many sites built on WordPress, but the WordPress community is enormous and full of developers eager to take advantage of the new features coming to the platform. There’s a lot to be excited about and before long we’ll probably all be wondering how we ever got by without Gutenberg.